There is a menu at Mo’s Bajan Grill, but I didn’t need to read it. 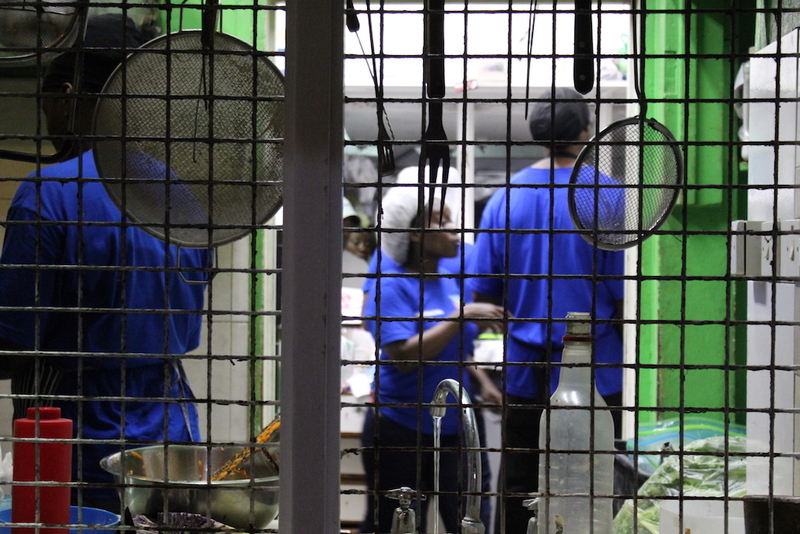 On my first night on the island of Barbados, there was only one thing my palate desired: flying fish. 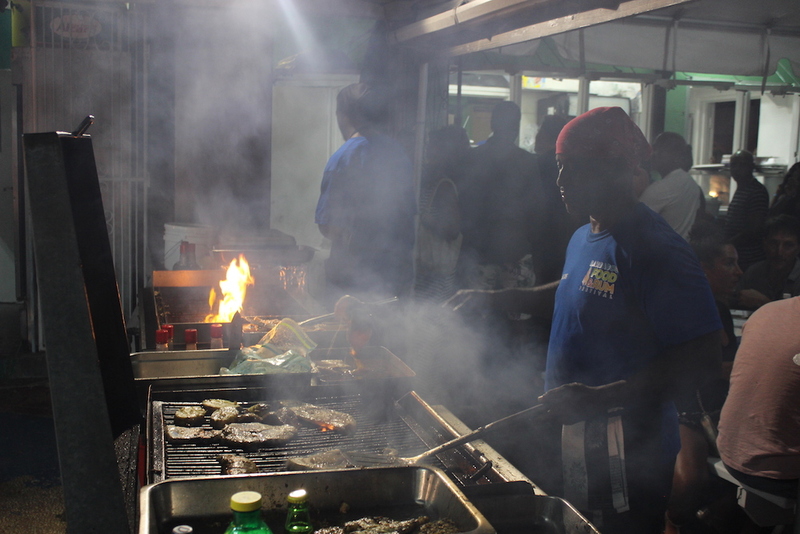 I was at Mo’s to kick off this year’s Barbados Food & Rum Festival. It’s an auspicious time for the annual event because the 50th anniversary of the Commonwealth’s independence from Great Britain is just days away, and I am honoured and grateful to the Barbados Tourism Marketing Inc. for hosting me on this banner year. Mo’s is one of the restaurants at Oistins, a strip of action on the road between the airport and Bridgetown, right by the sea. Mo’s had the best tables at Oistins to watch the chef and mixologist competitions on a stage the festival had put up in a courtyard. But my eyes weren’t on the stage, they were on the charcoal grills set up by the tables from which orange flames danced and atomized fish flesh wafted. If it tasted half as good as the sea air smelled at Mo’s, then dinner was going to be good. And it was. What cod is to Newfoundland, or pickerel to Ontario North Country, so is flying fish to Barbados. 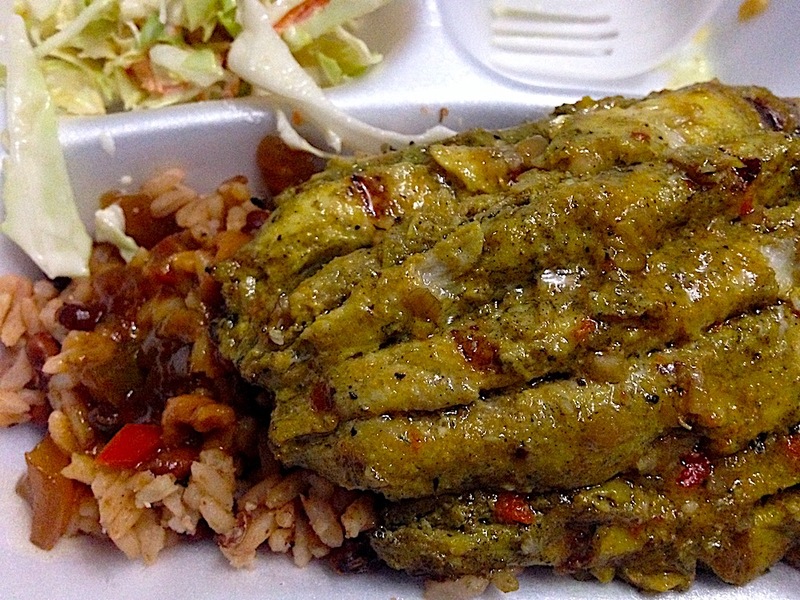 The fish is found throughout the tropical seas, but the Bajans know how to cook the best (not too much!). Mo’s is most famous for its Friday night fish fry, or so I was told. I know that flying fish is lovely when fried, but I really do think it’s best grilled and even better when, as was the case, treated first to a Scotch bonnet marinade come sauce. The flying fish was clean tasting; a delicately fleshed white fish. It was served de-boned and spread open as a double filet, with properly crisp and fire blackened skin on the back. God it was good: smokey from the grill, picante from the peppers, just a little sour from the vinegar in the sauce and perfectly savoury in its meat. If I eat nothing but flying fish on this trip to Barbados, I will leave happy and satiated.